In the book Principles of Marketing (Philip Kotler/Gary Amstrong) a brand is defined as a "name, term, sign symbol (or a combination of these) that identifies the maker or seller of the product". P.Tailor of www.learnmarketing.net defines a brand as a "Marketing tool that allows consumers to recognise the maker of a product". A brand name helps an organisation differentiate itself from its competitors. In today's competitive world customers expect products to have branding. Customers often build up a relationship with a brand that they trust and will regularly purchase products from that brand. Some people will only purchase a particular brand even though there are acceptable alternatives on the market. For example Apple Inc or UK retail chain John Lewis Partnership have a loyal customer base, who provide them with repeat business. How much is a brand worth? Brand equity refers to the value of a brand. Brand equity does not develop instantaneously. A brand needs to be carefully nurtured and marketed so consumers feel real value and trust towards that brand. Nike, Adidas, Harrods, have high brand equity. These brands command high awareness and consumer loyalty. But how much are these brands worth? It is difficult to put a value on brands, but we all know that a pair of Nike trainers without the logo on them, is worth a fraction of the price of a pair of trainers containing Nike's logo and branding. Franchise businesses pay to use branding belonging to someone else. For example McDonalds, Subway and Nandos. Sometimes businesses will buy the names of businesses that have gone into administration. For example in 2009 Shop Direct Group purchased the right to use "Woolworth's" the name of the high street retail chain that had gone into administration in the UK. This is where an organisation adds to its current product line by introducing versions f its products with new features, an example could be a crisp/chips manufacturer extending its line by adding more exotic flavours. If your current brand name is successful, you may use the brand name to extend into new business areas. For example Virgin Group extending its brand from records, airlines, mobiles and banking. The company decides to introduce more brands into an existing category. Kellogg’s for example have a number of brands in the cereal market and the cereal bar market. Multi-branding can allow an organisation to maximise profits, but a company needs to be weary over their own brands competing with each other over market share. An organisation may decide to launch a new brand into a market. A new brand may be used to compete with existing rivals and may be marketed as something ‘new and fresh’. 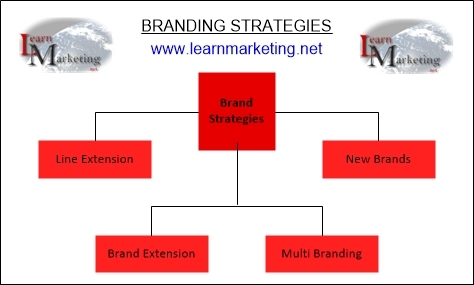 We have defined what a brand is and explained that brand equity refers to the value of a brand. Firms can implement one of four strategies to increase brand equity. In our next articles we discuss how to select a brand name and how to protect your brand once you have established its equity.